Welcome Back to the Explorer Academy! 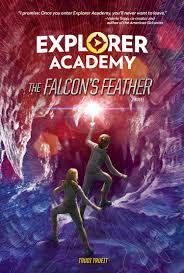 Welcome to Day #3 of the Explorer Academy: The Falcon’s Feather Blog Tour! 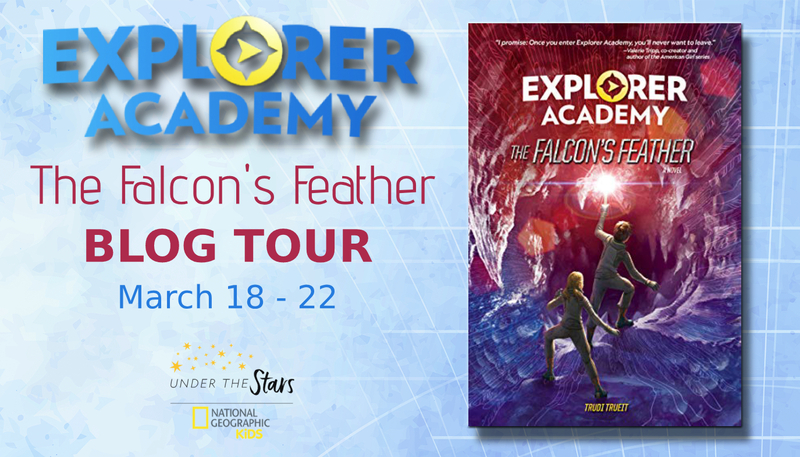 To celebrate the release of Explorer Academy: The Falcon’s Feather by Trudi Trueit on March 19th, blogs across the web are featuring special content from Trudi and the Explorer Academy team, as well as 5 chances to win an Explorer Academy DRONE Prize Pack! People have been sending secret messages for thousands of years. Whether to outsmart an enemy or to communicate private data or just to swap for-your-eyes-only notes with their pals, clever code-makers have created lots of different types of cipher—ways of transforming information to hide its true meaning. Coded letters, numbers, and symbols often look familiar, but their precise arrangement is used to conceal a hidden message. As you journey through the Academy, you’ll become familiar with all kinds of ciphers—from the ancient Greek Polybius square to the cool clicks of Morse code. Some ciphers can be cracked with only a little bit of effort and some creative thinking. Others, however, need special knowledge of the steps taken to create them. No matter the challenge, instructions and helpful hints will point you in the right direction along the way. Each letter of the paragraph below has been replaced by the letter that comes immediately after it in the alphabet. So, in the sentences below, B has replaced A, C has replaced B, D has replaced C, and so on and so on throughout the entire alphabet. KPJO DSVA BOE IJT GSJFOET BT UIFZ BUUFOE FYQMPSFS BDBEFNZ BOE GJOE PVU XIBU TFDSFUT BSF XBJUJOH GPS UIFN UP EJTDPWFS. DIFDL PVU UIF OFYU DPEF GPS B TFDSFU. Answer (highlight to reveal): JOIN CRUZ AND HIS FRIENDS AS THEY ATTEND EXPLORER ACADEMY AND FIND OUT WHAT SECRETS ARE WAITING FOR THEM TO DISCOVER. CHECK OUT THE NEXT CODE FOR A SECRET. OKAY, SMARTY PANTS. HOW ABOUT THIS? This next code is different. This is a cryptogram. There is no pattern, and no hints either. Can you figure it out? LKX KYYPVYCSV! UAPV XSB DPKN PILRSDPD KEKNPTX, QPPL XSBD PXPW SLPV ZSD YAP WXTMSRW, YAP ESNPW, KVN YAP LBHHRPW ACNNPV YADSBOASBY YAP MSSQ YAKY TCOAY APRL XSB WSRGP YAP TXWYPDX MPZSDP CY’W YSS RKYP! OKAY, SOME HINTS IF YOU MUST: look for letters that stick together, and short words that repeat. Those will help you get started. Answer (highlight to reveal): PAY ATTENTION! 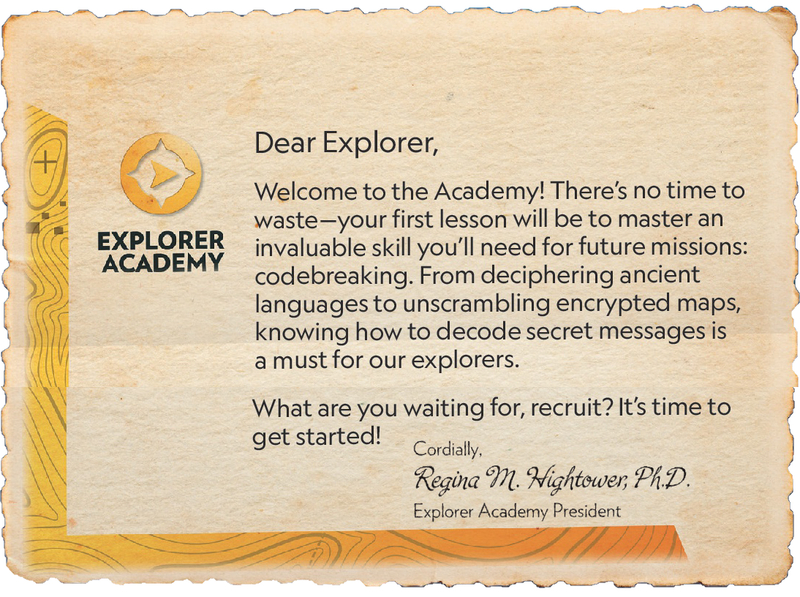 WHEN YOU READ EXPLORER ACADEMY KEEP YOUR EYES OPEN FOR THE SYMBOLS, THE CODES, AND THE PUZZLES HIDDEN THROUGHOUT THE BOOK THAT MIGHT HELP YOU SOLVE THE MYSTERY BEFORE IT’S TOO LATE! Now that you’re a code-cracking master, try your hand at this interactive cipher game! It’s an adventure of a lifetime when Cruz Coronado sets sail for the shores of Iceland and Norway aboard the Explorer Academy ship to continue his studies at sea. But, things take a turn while exploring the icy north, when he embarks on a dangerous mission to uncover the first piece of an important puzzle his mother left behind.In the exciting follow-up to The Nebula Secret in the 7-book Explorer Academy series, Cruz, Sailor, and Emmett, along with their new ally Bryndis, embark on their first globe-trotting mission aboard the ship Orion. Cruz jumps right back into school and starts using the latest technology in submersible underwater dives, but is soon reminded of the dangers of exploration when his equipment fails and he almost drowns. Determined to keep his eyes on the prize, Cruz sneaks away to try to find answers, but unknowingly lures his friends into bigger trouble. When a friend of Cruz’s mom meets an untimely end, Cruz’s luck really seems about to run out and the questions multiply. What does the message mean? Where will it lead? Who is following him? And why? One (1) winner will receive SIGNED copies of Explorer Academy books 1 and 2, an ADVANCE copy of Explorer Academy Codebreaking Activity Adventure (not otherwise available to the public until May! 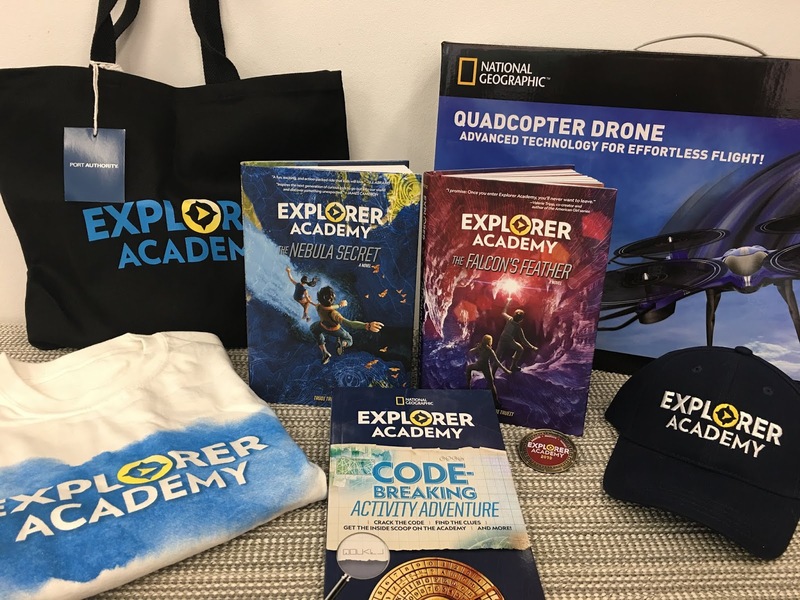 ), an Explorer Academy pin, baseball cap, t-shirt, and bag, and a Quadcopter DRONE! One lucky family of four will embark on a spectacular ship-based adventure, just like the students at Explorer Academy. Experience the remarkable beauty of Alaska’s famed Inside Passage on this thrilling 8-day voyage, courtesy of National Geographic Expeditions. Get up close to icebergs and calving glaciers. See orcas and humpback whales, then listen to them with the ship’s hydrophone. Visit Glacier Bay National Park, learn about Alaska’s rich Native American heritage, and pass islands teeming with wildlife, including brown bears, sea lions, sea otters, and perhaps the world’s highest density of nesting bald eagles. Visit natgeoexpeditions.com to see a detailed itinerary for Alaska’s Inside Passage Cruise. Enter here! 6 p.m. – 7:30 p.m.— Public event with talk by author Trudi Trueit and National Geographic Explorer Erika Bergman, followed by book signing. Purchase tickets in advance. 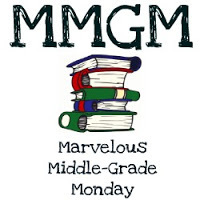 This entry was posted in Blog Tour, Giveaways, Middle Grade News, New Release and tagged Blog Tour, Explorer's Academy:The Falcon's Feather, Trudi Trueit. Bookmark the permalink. 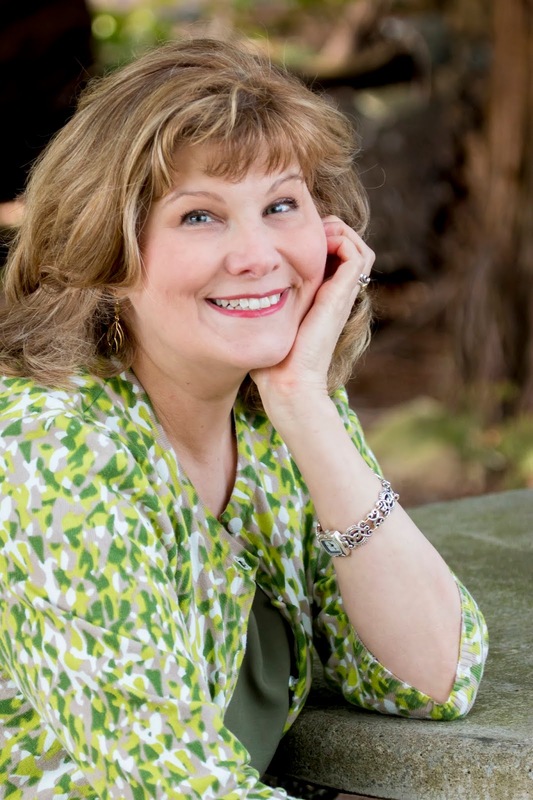 10 Responses to Explorer Academy: The Falcon’s Feather BLOG TOUR! Fun code breaking activity though I had to peek at the highlighted answers. The giveaway is fantastic! I love to crack codes as well as create them for others to solve. My dream exploration spot would be Australia. Wow. This is quite the giveaway! 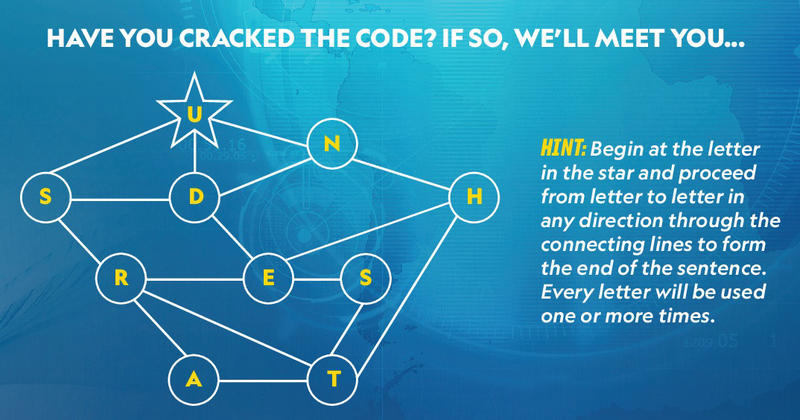 Cracking codes is a fun activity and good for the brain. Thanks for the post. I’d like to explore beautiful Alaska. What a great giveaway for teens who love a challenge. Coding would be fun to learn. But, I flunked everything — too impatient. I even tried highlighting and didn’t see the answers. I loved the code breaking activities.